Lely North America and Avila Dairy Equipment joined forces earlier this year, 2018. Their innovative robotic solutions have revolutionized the milking industry. Their robotic technology is on the cutting edge and has been installed in more dairies than any other automation milking company in the world. 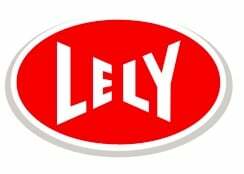 We are proud to be an authorized dealer of Lely NA for Kings and Fresno Counties. With automated milking systems, feed pushers, calf feeders, automated feeders and much, much more Lely is on the front line in the dairy industry. With the Lely A5 Astronaut automatic milking introduces a new routine on your farm, providing greater flexibility, enhanced efficiency, and a better work-life balance. The new routine also means that you are in control. You decide what your day-to-day management involves. It also allows your cows to follow their own rhythm at all times. The A5 lets you achieve optimal freedom of movement for your cows. With free cow traffic, the cows decide themselves when to eat, drink, relax or be milked. Features such as the hybrid arm and the I-flow concept contribute to the cows’ natural rhythm and increase the milking robot’s capacity. A healthy and stress-free cow means more milk in the tank. Increasing feed intake has never been easier. The Lely Juno (robotic feed pusher) takes over the repetitive work of pushing the feed multiple times a day. By pushing feed regularly, it is always within the cows’ reach. Every cow, even those lower in rank, can eat the roughage it needs for optimal rumen health and growth. Frequent feeding has a proven positive effect on overall cow health and milk yield. Mixing the right portions in the right quantities and releasing them just at the right moment requires knowledge, understanding and time. Automatic feeding systems and innovative equipment take over the day-to-day feeding of the herd, ensuring the utmost efficiency while improving animal health. Automatic feeding is ready for you. Increase the efficiency and profitability of your feed strategy by feeding your cows more often. More frequent feeding stimulates frequent eating day and night, which means cows ingest more fodder. This has a positive impact on animal health, fertility and production, and also benefits your bottom line. Lely Calm – For optimal growth and development from calf to cow. Reduce the breeding period and stimulate the calf’s development into a strong, healthy and high-yielding dairy cow with the Lely Calm. This automatic feeder supplies milk at the right temperature and provides insights into the milk intake of each calf. The Lely T4C management system is the prime source of information for your dairy farm. It delivers real-time insight with no extra work. You can take direct action yourself when and where it is necessary and you can also act preventively based on predictions. Lely T4C is specially designed for automatic milking with the Lely Astronaut. It also links to other Lely equipment, such as the Lely Vector automatic feeding system. T4C translates data from the barn into usable information for a clear insight into the results of your work. Reliable data that you can use to make the right decisions. For immediate operations in the barn among the cows or for the longer term. In both cases, business optimization is key.